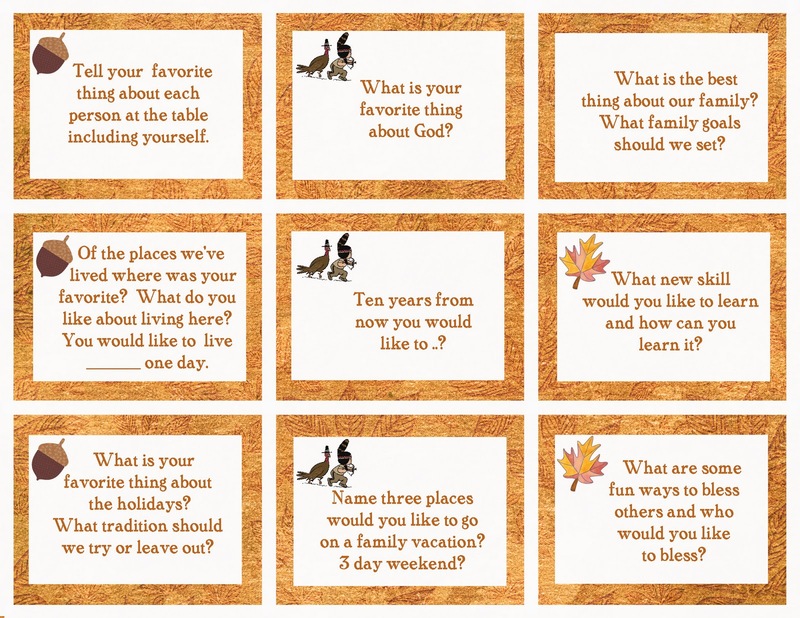 and made these Thanksgiving Conversation Cards. We’ll see how many questions we get through. We got through a few questions. All the kids liked living in Texas best for these reasons in this order: Mexican food, BBQ, and family. 🙂 The 10 year plan was answered with silence. They live one day at a time. The holiday question got a similar response.. except they like food. Judi was the most adventurous.. she'd like to go to NY, Hawaii, the Painted Desert, Grand Canyon. The boys were pretty stuck on the Grand Canyon, but thought Hawaii might be cool, too. I forgot… they like living in Alabama because there is so much to do here.. hiking, dollar theaters, and 3 malls. Joel and Josh stood in line at Toys R Us for two hours for their Black Friday sale.. only to buy a game that wasn't on sale.. for the thrill of the chase.